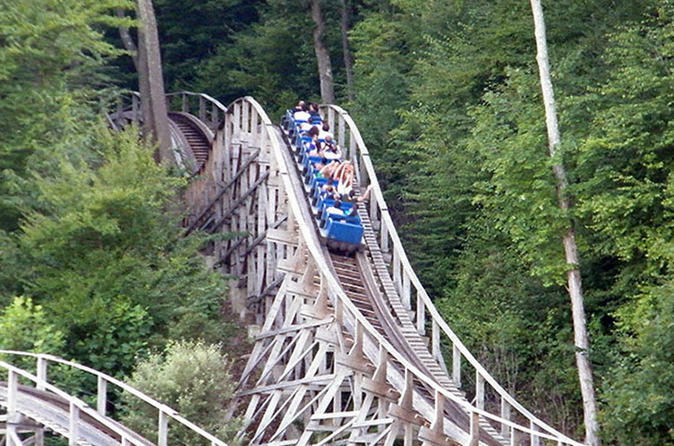 Ride the Thunderbolt, the longest mountain coaster in New England. The Thunderbolt takes riders up 1,580 feet of up-track through the forest before the cart disengages, and gravity takes over. The 3,870 feet of downhill track are designed with swooping turns, banked corners, rolling drops and 360° turns. Enjoy a stop at Yankee Candle Village in Deerfield where you will find numerous displays and a fun atmosphere. There is a Christmas village and a Santa’s Workshop a Bavarian forest with a model train display a candy store and of course make your own candle work stations. Depart Boston at 7:00am for Thunderbolt Mountain. From the time you get on a cart and towed to the launch point, and come down the mountain the average time is 10 minutes per ride. You control the speed so some will go faster than others. 2 rides per person included. The last stop of the day will be at Yankee Candle Village in Deerfield where you will find numerous displays and a fun atmosphere. There is a Christmas village and a Santa’s Workshop a Bavarian forest with a model train display a candy store and of course make your own candle work stations.